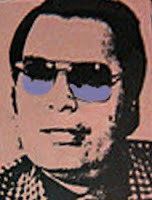 Jonestown Apologists Alert: Continuing Rancor Over Jim Jones & Memorial: "He is not--and never was--a victim!" Continuing Rancor Over Jim Jones & Memorial: "He is not--and never was--a victim!" Happened in Texas, courtesy of a cult maniac swaggering in the footsteps of another megalomaniac who hosted his own holocaust 15 years earlier in a Guyanese jungle. A memorial for the victims of the 1993 Waco Massacre was established by Branch Davidian survivors two years later on the privately-owned Mount Carmel property. It was a layout of crape myrtle trees, which later had headstones representing victims placed at the base of each tree. Amazingly, one of those headstones--until it was rightfully destroyed by the property owner in 2006--was dedicated to a murderous, crazed sexual predator. 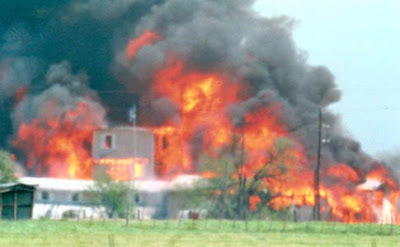 As controversial as was the ATF raid on the Branch Davidian compound, it's outrageous watching muddle-headed wonders award victim hood status to ruthless, sadistic monsters like David Koresh. 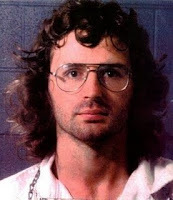 Koresh's crime spree, however, was something of a virtual misdemeanor next to the unspeakable horrors inflicted by Jim "Dad" Jones and his People's Temple Mafia. So why, once again, are people stepping up to actually honor another raging psychopath as a "victim"?? One of those is a group of family survivors lead by Lela Howard (whose aunt died in Jonestown) that tried but failed to erect their own memorial that included Jones in San Francisco's African American Cultural Center, thanks to protests by other survivors. 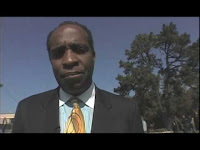 "It was insulting, illogical, and outright disrespectful of Black Americans. Jewish people have never proclaimed Hitler as a victim, nor has his name been placed on a memorial wall erected for those he ordered murdered. Ms. Howard was never a member [of the cult] and she should have conferred with others prior to making her decisions to be disrespectful. Instead she selected to speak with Jones's sons and other white members who were part of the hierarchy. My suggestion is that Ms. Howard maintain her memorial in Los Angeles so that she can frequently visit a site locally for remembrance. Don't smear our faces in it or bring this back to San Francisco." The late cult leader's adopted son, Jim Jones, Jr., is clear about his place in the revisionist camp, alleging that "the tragedy is we're villainizing Jim Jones," who he claims "was also a victim, of his own madness. We need to memorialize all the bodies, as a great loss." It's obvious that Rhonda appreciates the Jones, Jr. perspective about as much as she does Howard's. We get the feeling she's equally unenthused over our favorite cult apologist film maker, Stanley Nelson. "I am tired of those who continue to surface as self-appointed spokespersons for black victims of People's Temple," she says, "I'm tired of the ignorance, lies, and misstatements of Jimmy Jones, Jr., who....is an embarrassment to every intelligent black person in the world. Jim Jones, Jr. makes ridiculous statements about what a great man his dad was. We must remember that his dad killed his wife and their unborn child in Jonestown. He goes on speaking engagements for pay and has used the death of others as a major source of income. My question: Why would you continue to bear the name of a murderer? This is sick, just as disgustingly sick as his adopted dad. I think of the Lela Howards and Stanley Nelsons as the “Aunt Janes” and “Uncle Toms” of the world....Their mission is an attempt to portray Jim Jones as a "victim". They attempt unconvincing arguments that Jim Jones’ name should appear on a wall with the true victims’ names. He is not--and never was--a victim!" Rhonda voices much support for Dr. Jynona Norwood's work in getting the Jonestown Memorial Wall erected, calling her "a faithful and humble servant trying to give the lost souls their own identity, a name, and dignity. However, she meets constant roadblocks." Obviously one of the biggest challenges has been raising funds for the wall. It's time to petition former Jones allies such as Willie Brown and Cecil Williams to cough up a substantial chunk of the expense. After all, they're part of that California political rabble with blood on their hands from November 18, 1978. Let Brown, Williams, and the rest of those self-serving elites make their financial amends next Wednesday at Oakland's Evergreen Cemetery, right after they've publicly apologized to the grieving relatives of every one of the real victims of their Prized Marxist Missionary.